Triumph Motorcycles (India) Pvt. Ltd. The mood was set and Triumph was all prepared to launch yet another motorcycle into India, except this time it wasn’t a design that we were not familiar with but rather a cruiser that has given Harley-Davidson some healthy completion in India and Triumph was about to take it up a notch by heavily accessorizing it. Triumph was coming out all guns blazing with the tricked out Thunderbird LT (Light Tourer). Mind you this is not the Thunderbird Storm that is already available in India but a tourer version of the lesser capacity Thunderbird available in the International markets. There is a difference which I will not focus on in this article. Briefing the media were Mr. Shoeb Farooq, Head Sales & Dealer Development, Mr Tarun Sachdev, Director Finance & Mr. Vimal Sumbly, Managing Director Triumph Motorcycles India Pvt. Ltd.
Let’s talk a bit about the Thunderbird LT and why does Triumph think it makes a sensible buy. Triumph took the 1597cc parallel twin from the Thunderbird and boosted its capacity to 1699cc which helps pelt out 94PS of power and produces 151 Nm of torque at 3350 RPM (wow!) can’t wait to feel the power. This is a liquid-cooled, DOHC, parallel twin with a 270 deg. firing interval. The fueling system is multipoint sequential electronic injection with progressive linkage on throttle (A linkage designed to open the Throttle valves of multiple injectors. It opens one to start with and when a certain opening point is reached, it will start to open the others on throttle). The exhausts are chromed stainless steel 2 into 2 headers going into chrome-plated silencers. The final drive is belt driven running on wet, multi-plate clutch mated to a 6-speed gear box designed on helical gearing. Helical gears are cut at an angle to the face of the gear. When two teeth on a helical gear system engage, the contact starts at one end of the tooth and gradually spreads as the gears rotate, until the two teeth are in full engagement. 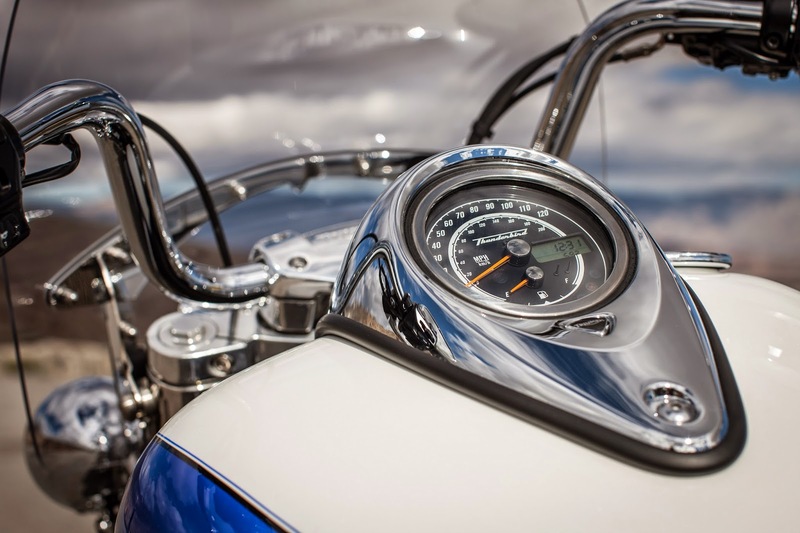 This gradual engagement makes helical gears operate much more smoothly and quietly than spur gears as a result of which the gearing and overall smoothness on a Triumph is felt by anyone who rides these motorcycles. 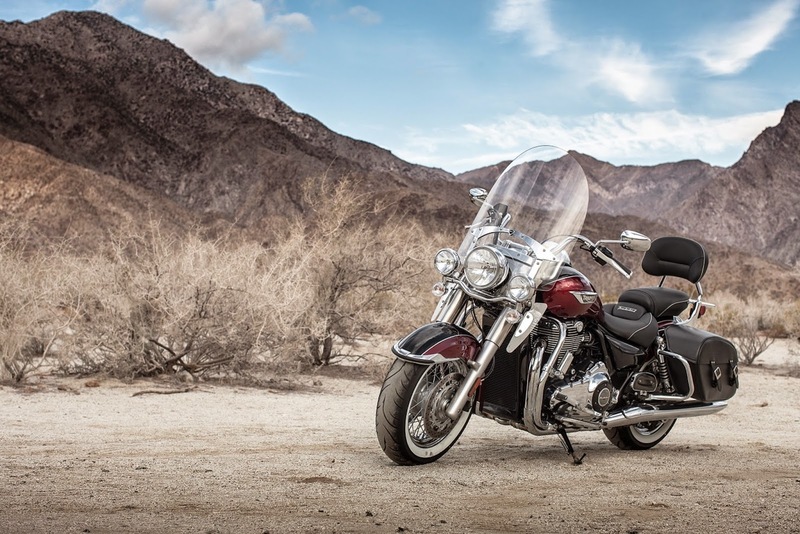 Triumph has put a major emphasis on increasing comfort levels on the Thunderbird LT. This is evident from the frame and ride setup. The Thunderbird LT sits on a tubular steel frame with a twin spine, twin sided steel swing-arm. The motorcycle runs on 56 wire spoke, 16 x 3.5 inch front and 56 wire spoke, 16 x 5.5 inch rear wheels with 150/80 VR16 Whitewall front and 180/70 VR16 Whitewall rear tyres. Handling and comfort is further enhanced with the Front Suspension using Showa 47mm forks with 120mm travel while the rear sits on Showa twin shocks with a 5 position adjustable preload with 108.5mm rear wheel travel. Stopping power is provided by twin 310mm floating discs with Nissin 4-piston fixed calipers with ABS (thank you Triumph!) in the front and a single 310mm fixed disc Brembo 2-piston floating caliper with ABS at the rear. The Instrument display is an analogue speedometer and fuel gauge, a LCD trip computer that shows range to empty a clock. The LCD functions using a scroll button on the handlebars itself – a nice touch! The motorcycle extends to 2546 mm in length (roughly about 8.3 feet) and sits about 1225mm (~4 feet) from the ground up. Seat height is maintained at a decent 700mm (~2.2 feet) seems perfect for the Indian stature. Given that this is a Light Tourer, tank capacity is a decent 22 liters and YES! The motorcycle comes with side panniers with a carrying capacity of 26 liters. Fully loaded this bike weighs in at 380 kg, a tad bit more than the available competition in the same category. 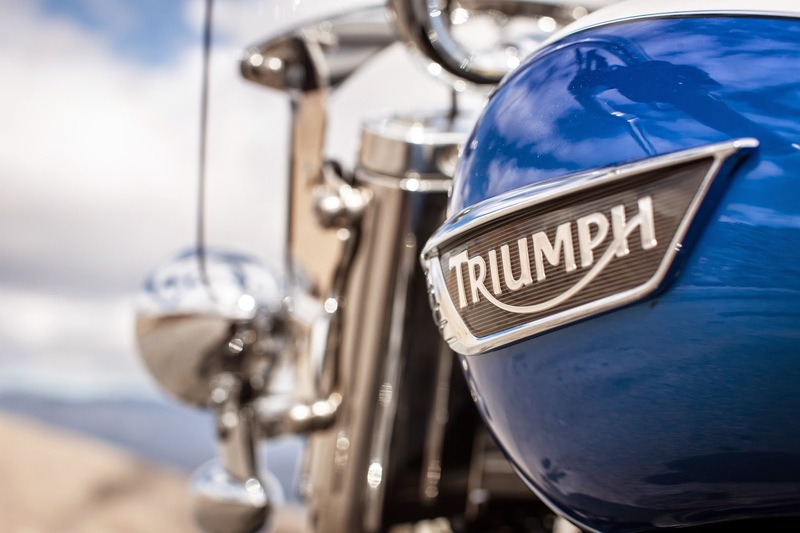 Triumph is determined on making sure that with every Dealer set up, they are well equipped with spares and a service center - a step in the right direction indeed. At Rs. 15,75,000 the Thunderbird LT will place some pressure on sales as they need to be prepared to fight questions against its competitors and their setup that is far wider and on a larger scale in India. Although given an opportunity I would have taken up this challenge as in flesh the Thunderbird LT has a lot on offer and seems like a product that will do very well not only on the open road but as an urban ride as well. This is a critical area for this this parallel twin to perform; after all how many of us take out our cruisers to discover India! 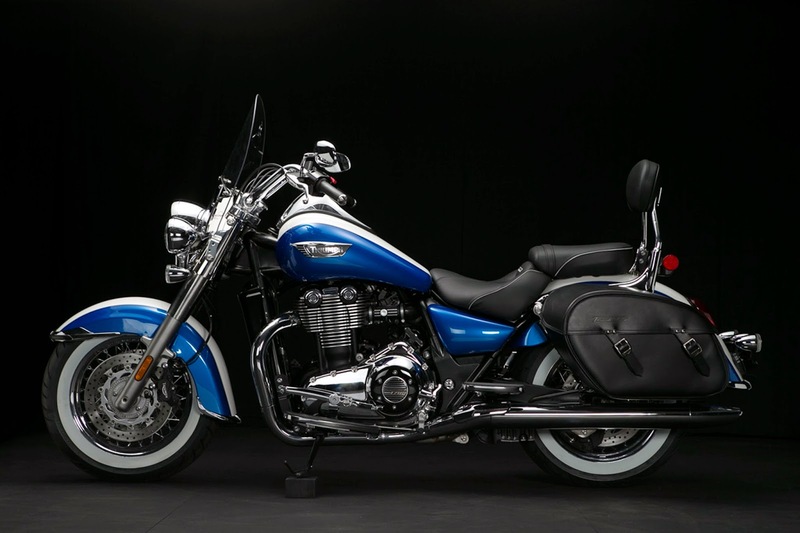 The Thunderbird LT is very inviting and ThrottleQuest is eager to provide its readers with a more detailed write up on ride ability and handling. It is an excellent review Sheldon. It is not a triple, okay! We know that! How much does the Heritage Softail retail for?